It is my pleasure to welcome you to the School of Electrical Engineering and Computing at The University of Newcastle, Australia. 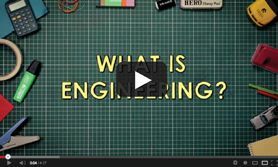 The School of Electrical Engineering and Computing offers undergraduate and postgraduate study in Electrical Engineering, Computer Engineering, Software Engineering, Computer Science and Information Technology. In conjunction with the School of Engineering, we also offer undergraduate study in Mechatronics and from 2018 we will be offering a Bachelor of Medical Engineering (Honours) degree program. Society is increasingly recognising the importance of developing and maintaining infrastructure, and the need for a highly skilled workforce. Traditional electrical energy systems, as well as the alternative (renewable) energy systems of the future, are built on physical principles, which form the basis for the Electrical Engineering degree program. Likewise, the proliferation of computer and telecommunication networks, and the increasing sophistication of computer software projects, creates strong demand for graduates with highly developed professional skills in Computer Engineering, Software Engineering and Computer Science. Global digital solutions, advanced by the emergence of Data Science, Information Systems and Machine Learning, are also critical for the future, and our programs in Computing and Information Technology offer a range of degrees in these areas. Lecturing staff in the School are committed to providing a challenging and rewarding learning environment. The School has excellent laboratory facilities, supporting degree programs that emphasise modern engineering creativity, design and implementation skills, built upon a strong basis of fundamental principles. In addition to courses taught from the Callaghan campus, we also teach at Ourimbah, UON Sydney and UON Singapore Campuses, with several of the Bachelor of Engineering courses and Information Technology courses on offer at alternate locations. Undergraduate degree programs are accredited by Engineers Australia and the Australian Computer Society. Employer demand for our graduates is intense, with very competitive starting salaries and excellent career prospects. Our School has a strong and long-standing international research profile in a number of areas, including control systems, signal processing, bioinformatics, computing algorithms, human-computer interaction, telecommunications, and energy systems and power electronics. The School is host to the Priority Research Centre for Complex Dynamic Systems and Control (CDSC). In addition, research in the School is focused in University Research Centres in power electronics (ResTech), the Laboratory for Dynamics and Control of NanoSystems (LDCN), human-computer interaction (i3Lab), applied informatics research (AIR group) and the Newcastle Robotics Laboratory, with a strong history of competition in the RoboCup World Championships. We have recently appointed a Global Innovation Chair (GIC) in Cybersecurity, Professor Vijay Varadharajan, and a Global Innovation Chair in Data Networks, Clouds and Energy, Professor Erol Gelenbe. Our GICs play a significant role in developing and maintaining UON's leadership in research by facilitating greater engagement with international partners, driving stronger models of collaboration and maximising the translation and societal impact of our research. Research in the School is strongly supported by external funding sources, including the Australian Research Council, and significant industry funding. In addition to over 40 lecturing staff, our School is home to some 30 post-doctoral research fellows and over 40 higher degree research students studying for research Masters and PhD degrees, making for a vibrant and supportive research environment. I invite you to browse our website to find out about our areas of study, staff or other information that you need.